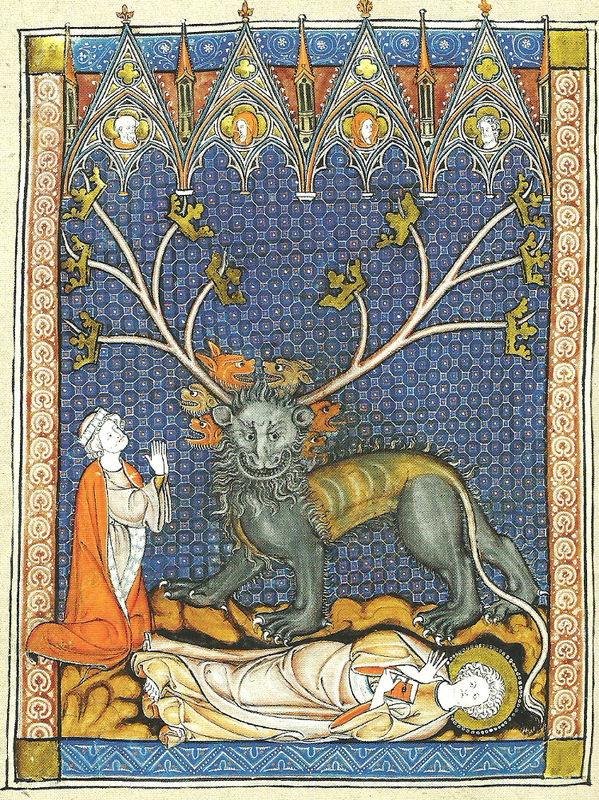 Medieval Monsters – Everything is Oll Korrect! I recently received the book Medieval Monsters, an art book collecting illustrations from various medieval manuscripts, by Damien Kempf and Maria L. Gilbert, as a gift, and it’s one of those books whose main flaw is that it’s not big enough. That is, I wish it were bigger both in the sense of having more content and just being physically larger. At just 6″ x 7.5″, this is the smallest art book I own. More typical would be something like The First World War in Colour, which is 8.5″ x 11.5″. To be fair, most of these illustrations don’t have a lot of detail and so may not merit as much space as some other genres of art, but a larger size would also allow for more content. On a positive note, the paper and print quality is nice, so what is here looks good. The Spanish saint was known for h is intense devotion to Christ: he would spend sleepless nights praying and reading. According to a medieval legend, Dominic’s mother, when pregnant, dreamed of a dog carrying a torch in its mouth that would teach and enlighten the world. 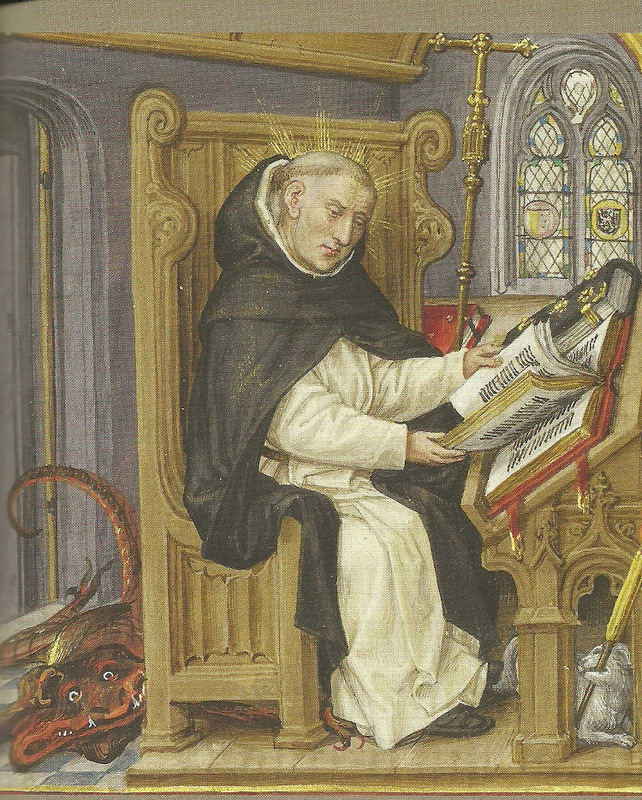 Dominic and the members of the monastic order he founded, the Dominicans, were called the ‘dogs of the Lord’ (Domini canes), and their mission was to fight against the evil temptations of the world. 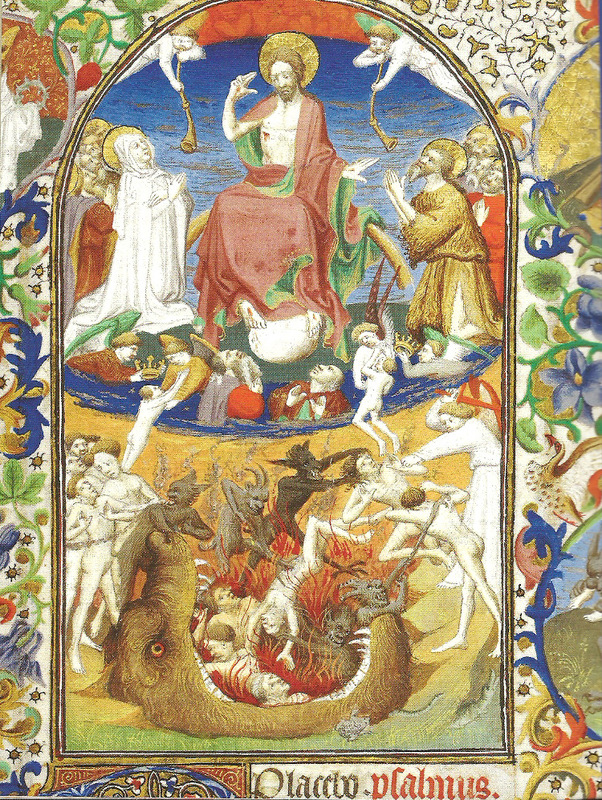 Any man who lets himself be led to sin will go to hell, opened by the devil – if he has followed the pleasures of the body and not those of the spirit. When the devil has brought them to hell, he clashes together the jaws, the gates of hell. No one can get out from them, just as no fish can escape from the mouth of the whale. Does he discuss the craftsmanship much or largely the content and historical context mostly? Unfortunately, they don’t cover craftsmanship or the process of making these at all. Basically, it’s just a collection of interesting images with some anecdotes to provide context.